Opinions about Vertigo, its reputation, place in the Hitchcock filmography, and legacy. Although I am uncertain of whether or not Vertigo deserves to be given the honor of being the best film in movie history, it is certainly a film that deserves recognition. Hitchcock’s use of camera techniques and dream sequences allows the audience to truly feel as if they are part of the film. Few movies draw as much suspense and audience interaction as Vertigo does which deserves reward. I do not think Mulvey is justified in her criticisms against Vertigo. For example, Mulvey states how Vertigo is a prime example of male dominance in cinema using the idea of the division between looking and being looked at. Much of Vertigo involves Stewart/Scottie following and observing Novak/Judy without her apparent knowledge or consent. Mulvey believes that that the person being looked at is the passive, weaker figure (women) and the person looking is the dominant, stronger figure (men). She implies that an imbalance of power between men and women is shown in the movie. Although Mulvey ignores how Stewart/Scottie is duped by Novak/Judy and Helmore/Elster through almost the entire film. Mulvey disregards how Novak/Judy is fully aware of Stewart/Scottie watching her and how Novak/Judy is using that to her advantage. 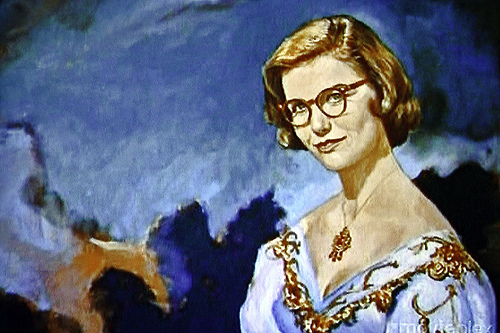 Novak/Judy is able to fool Stewart/Scottie into thinking that she is Madeleine Elster possessed by Carlotta Valdes, is able to lead Stewart/Scottie into a rooftop chase where she knows Stewart/Scottie’s acrophobia will prevent him from following her to the top of the tower, and she and Helmore/Elster are able to throw the real Madeleine Elster off the top of the bell tower making Stewart/Scottie believe that he had just witnessed Novak/Judy’s suicide. Stewart/Scottie does not discover until almost the end of the film that Novak/Judy and Helmore/Elster knew of his acrophobia and used that to make him be a witness to the fake suicide of Madeleine Elster so that Helmore/Elster could murder his wife without placing suspicion onto himself. Thus, Stewart/Scottie is not the powerful figure in the film, Novak/Judy is. Mulvey fails to remark on how Stewart/Scottie is virtually unhappy throughout almost the entire film and is even forced to temporarily enter an asylum as a result of Novak/Judy’s actions. I believe that it is unfair for for Mulvey to suggest that Vertigo is a film that portrays male dominance when Stewart/Scottie frequently suffers at the hands of Novak/Judy throughout the film. This entry was posted in Views on Vertigo on November 7, 2014 by hbvandamm. Alfred Hitchcock’s Vertigo made it to the top of the British Film Institute’s ranking of the fifty most important films ever made. Though younger crowds might overlook this film today, during the time of its release, the techniques used including unique plot twists, selective color usage and new camera angles had never before been seen. In Martin Scorsese’s essay about the importance of this movie to the filmmaking industry, he writes, “any film as great as Vertigo demands more than just a sense of admiration — it demands a personal response.” Later in the essay, Scorsese writes that, “Morality, decency, kindness, intelligence, wisdom — all the qualities that we think heroes are supposed to possess — desert Jimmy Stewart’s character little by little.” Hitchcock gave his character flaws, making him more relatable to the viewer and forever changed the meaning of the hero in any movie. This role would no longer be such a cookie-cutter one to play; it would be more than one-sided. In Vertigo, characters are not always who they seem to be and not everyone the audience believes to be deceased actually is. Hitchcock tricks the audience multiple times showing everyone who views the film that they cannot always trust their own beliefs to be correct. Saul Bass created an opening sequence unlike any other before it and a score written by Bernard Herrmann added another dimension to the entire experience. Every aspect of the film was carefully and masterfully planned out; earning Vertigo it’s top ranking in the British Film Institute’s list of the fifty most important movies. Scorsese, Martin. “Why Vertigo Is Truly Great.” The Guardian. March 5, 1999. Accessed November 7, 2014. This entry was posted in Views on Vertigo on November 7, 2014 by cevans3. Vertigo: The Greatest Film of All Time??? Though determining the best film ever created is not something that can ever really be determined, I can certainly see why and how Vertigo is in the “50 Greatest Films of All Time” list. Not only is the movie entertaining, but also the cinematic elements of the film including Hitchcock’s creative use of shots, POV, and several other features make up “Pure Cinema.” Though this term is often considered to be ambiguous and difficult to define, it is certain that everything that Hitchcock is known for is featured in this film through his profound cinematic style. It is evident in not only his technique in cinematography, but also in the plot, choice of actors, themes, and his unique sense of directing as a whole. For example, no matter what film, Hitchcock always goes back to involving the audience as much as possible, as well as generating suspense and visual stimulating/disorienting sequences, and using the same motifs such as the integration of stairs. Despite the negative things critics had to say upon the release of this film, there is no doubt that Vertigo is in itself a masterpiece of Pure Cinema, rightfully earning its place as one of the most influential films of all time. This entry was posted in Views on Vertigo and tagged Films, Hitchcock, vertigo on November 6, 2014 by Cynthia. Vertigo deserves its spot as the greatest film of all time. Hitchcock’s use and manipulation of camera techniques create an unforgettable experience for the audience. At the time of its release, the film was criticized for having a slow plot and dragging, and, though I do agree with this to an extent, I believe the innovative new techniques that were used overshadow this. Though the inventive camera techniques are crucial, there are also other techniques including plot twists and suspense that help build an incredible experience. The plot twist that Madeline was actually Judy was something most people watching would never expect and the suspense leading up to Scottie and Judy’s encounter on the tower was nearly unbearable. The ending of the film where Judy falls off the tower was a huge shock too. All of these techniques and situations support the idea that this is the greatest movie ever made. It embodies all the characteristics we as a society value in a film with some added shockers thrown in there. This entry was posted in Views on Vertigo on November 6, 2014 by msmith. Vertigo deserves the top spot on the British Film Institute’s list of the 50 Greatest Films of All Time because of how it draws in its audience. The moving camera shots used to showcase Scottie’s acrophobia can make viewers experience some degree of vertigo themselves. The viewers see–experience–Scottie’s strange, surreal dream and are weirded out by it like he is (though not enough to land them in a mental hospital like Scottie). When he wakes up, he stares directly into the camera, as if to acknowledge the audience. When Scottie controls Judy, making her change into Madeline, the audience feels as uncomfortable as she does. Finally, Vertigo ends abruptly after Judy’s real death: Hitchcock intended to leave the audience in stunned silence, just as he left Scottie. Few films can effectively force audience participation like this, really making viewers feel the way the characters feel. Therefore, Vertigo deserves its current rating as the Greatest Film of All Time. The famous staircase shot. We don’t just see what Scottie sees, we can also experience his dizziness. This entry was posted in Views on Vertigo on November 6, 2014 by ktlambert. Vertigo would have to be in my top 3 as my favorite movies. This film is about Scottie forcing Judy to change her appearance to match his lost love. Scottie’s only reason for doing this is so Judy looks like Madeline which is his lover who supposedly committed suicide. I thoroughly enjoyed the plot of the film because it has a lot to do with identity and is very suspenseful. This was my first time watching Vertigo and at first I couldn’t tell that Judy and Madeline were the same person playing different roles. Until we met for class discussion I saw then that they were the same person. I think the camera shots were very well done throughout the entire film. This entry was posted in Views on Vertigo on November 6, 2014 by sunnyd. Even though I have not seen the other films on the British Film Institute’s list, I believe that Vertigo definitely deserves the spot as number one. It’s a film about identity as Scottie forces Judy to change her appearance in order to look like Madeline. I fully support Roger Ebert’s review of the film written in 1996 (1). In this way, Hitchcock is commenting on the way he treated and controlled the “Hitchcock blondes”. Hitchcock told them how to act, what to wear, and what to say. When I first saw Vertigo a few months ago, I did not know who Judy was, nor did I recognize her as Madeline. It was not until Scottie changed her appearance that I was finally able to understand it. Seeing the film a second time, however, I was able to notice the artistic/cinematographic elements that I had missed the first time. After Judy’s transformation, she emerges from the bathroom in the hotel surrounded by fog, hinting that she was a ghost that had been awakened. 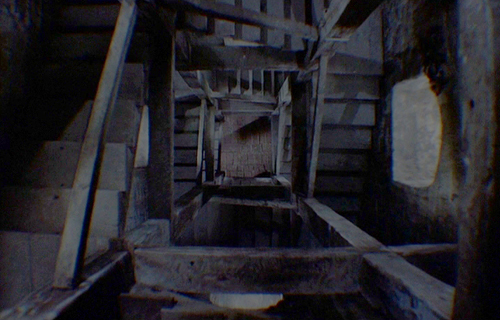 The film also includes all of the “Hitchcockian elements” that are usually utilized in his films, including staircases and the panning of the camera to give the audience the effect of having vertigo. Ebert, Roger. “Vertigo.” Rev. of Vertigo. n.d.: n. pag. Roger Ebert. Ebert Digital LLC, 13 Oct. 1996. Web. 5 Nov. 2014. <http://www.rogerebert.com/reviews/great-movie-vertigo-1958>. This entry was posted in Views on Vertigo on November 5, 2014 by Virginia Malloy. During the release of Hitchcock’s Vertigo, in 1958, the film was not regarded as one of his best. This was mainly because the audience and critics of the time could not get past its literal meaning and deeper delving into the subconscious of Hitchcock’s mind. Many articles have described Hitchcock as a director who was ahead of his time and they were referring to the 21st-century characteristics that Hitchcock portrayed without knowing what they would become. Anyway, Vertigo is now one of Hitchcock’s most popular films because scholars have done a lot more research and analysis of the film’s themes or meanings. Penelope Houston describes Vertigo as “one of the two or three best films Hitchcock ever made, [it]is the most confessional, dealing directly with the themes that controlled his art,” in her article “Vertigo” from Sight and Sound. Vertigo speaks more to today’s Hitchcockian audience with what has already been studied about his motifs and stories from his past. Scottie resembles Hitchcock with his controlling and obsessive attitudes towards directing while Novak portrays one of the best Hitchcock blondes. Another aspect of the film’s difference has to do with its focus on simple but important shots like the scene by scene takes of Scottie following Madeline. Altogether the film has its beauty and it doesn’t even have a happy ending. Hitchcock does a great job in representing the characters as two people that we can root for at different times during the film. The shock that Vertigo has instilled into the audiences of two centuries says a lot about the greatness of the film. This entry was posted in Views on Vertigo on November 5, 2014 by mr39memory.